Welcome to Billinge Travel’s Website. We hope you find it helpful, if you need any further information, please do not hesitate to contact us. Billinge Travel is a long established company, serving customers throughout the UK for every kind of private hire. The majority of our clients are repeat customers and we pride ourselves on our professional approach, from local trips into town, to airport transfers and long range trips. 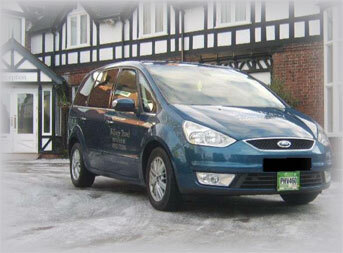 Based in Tarporley, Cheshire, we have 7 seater vehicles available for all occasions. Please contact us and we will be happy to help with your requirements.